Home > News > Can We Reduce Greenhouse Gas Emissions Whilst The Economy Grows? Over the past few years there has been a growing concern around climate change and how we can each do our bit to reduce the impact of global warming. Recently, the energy industry has made significant improvements to help reduce greenhouse gas emissions with the rising star being renewable energy…or so we think. Studies have found that making products more energy efficient has actually cut CO2 emissions slightly more than renewable energy (Carbon Brief). This has been impacted by new EU product standards on lighting and other electrical appliances which have played a substantial part in reducing energy demand. The difference is that the renewables have been grabbing headlines due to the new technologies that have been developed, leaving energy efficiency achievements in their shadow. Provisional calculations show that electricity generation in the UK peaked around 2005. But generation per person is now back to the level of 1984 (around 5 megawatt hours per capita). This has helped to cut overall greenhouse gas emissions, even as the economy grows and the population rises (Source: Carbon Brief). The switch from coal power to renewables has helped the UK to meet targets to cut carbon emissions. Figures show that fossil fuel energy has been reduced by 95 TWh since 2005 due to the increased use of renewables (Source: BBC News). However, during this time energy efficiency cut demand by 103 TWh, contributing more to cutting carbon emissions in the UK than renewables. Due to the decrease in the amount of energy we’re using, this has helped offset the rise in energy prices meaning that although prices have increased, often energy bills have decreased. 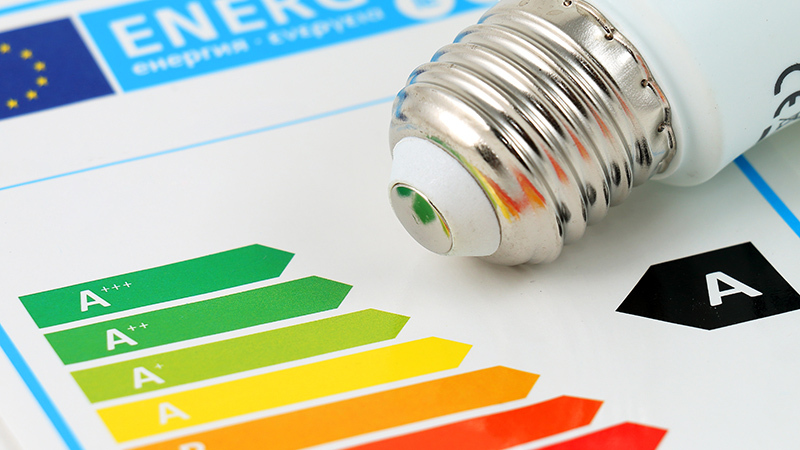 To help reduce energy consumption, there are a number of simple things businesses can do with the Government taking steps to help along the way. One plan the Government has put in place is to introduce Smart meters to all UK households and small businesses by 2020. Smart meters allow you to track exactly how much energy you’re using on a near-real time basis, helping you to keep in control of your energy consumption. Smart meters can also benefit your business in a number of other ways. It’s not only homes and small businesses that have contributed to decrease their carbon emissions. Larger businesses have been working hard to become more energy efficient too, improving the performance in areas such as lighting and refrigeration. New technologies are being developed which help businesses to control their energy usage and optimise their assets. We offer a variety of energy-related solutions to support the more complex needs of larger businesses in improving energy efficiency. Our solutions can be tailored to individual businesses, helping to optimise their energy portfolio via energy efficiency products and services as well as supporting on renewable and sustainable energy projects. For more information please contact us on 0155 975 8258 or by using our web form.